Is the end insight for golfers. We woke to a very cold rainy morning in the uk, showered and a cup of tea tilly-miss seemed full of the joys as she knew we were heading out.We made our way to a local venue upon our arrival we were greeted by a gang of workers chopping down trees that had become risk issues. In to the walkway of this vast woodlands we were greeted by puddles of mud and water which was very deep in parts, the rain cascading through the leaves and branches dripping on tilly-miss and myself, we continued to enjoy the still silence that surrounded both of us making our way deeper in the woodlands, it was not long before tilly bolted a few yards in front standing still her ears pricked up and a little restless, that is when you know something is there, and before my very eyes a family of 6 deer ran at a pace along the side fencing, what a beautiful sight to see, all 6 of them big to small were soaked to the skin and headed out of sight from us, that is the beauty of the woodlands, you never know what will join you, but as always tilly-miss knew something was lurking. The golf course was deserted, the sand bunkers and the greens were like an open swimming pool, leaves had swept across the course making a real mess of the beautiful landscape that had in previous months looked so pretty and was packed with so many playing, we today walked away with our lowest ever amount of golf balls, making me wonder is the end in sight for this year. Tilly-miss will continue our walks no matter what, we will visit some other courses and get a feel to the outskirts for next year, making ourself comfortable for visits, knowing which place to enter, and picking out the likely places around the course that will bring just rewards. We will have lots of things to keep us busy, our huge stock of golf balls have to be sorted, checked for damage, washed in our own formula for the best results, then placed in brand names and bagged, the balls for the vending project will be placed in a container, each container will hold a picture of tilly-miss in various poses, each machine will have 9 rows of various brand names of golf ball, so hopefully anyone who buys from the machine will be able to take home a different picture of tilly-miss and pass them on to children or grandchildren as a little collection, just a little idea that might capture the childs imagination. Machines will arrive early next week, that is done and dusted and looking forward to it all happening, logos and art work in place and agreed,really look forward to adding new pictures when the artwork has been applied, hopefully you will like the new look of what we have developed for the future of buying a golf ball. So that is it for today, weather is going to change yet again, we now have snow forecast,so keep warm and stay calm, if things do get to bad make sure you have enough food and plenty of soup on standby, switch on the heating and turn up the telly, your in the safest place. Good news on tilly-miss, there doesnt seem to be any problems or after effects with her injury, we were out and about for nearly 3 hrs today, i kept a close watch on her leg and nothing seemed to problem tilly, who was running around picking up golf balls and doing her routine as normal when she found a ball. Made a very important decision regarding our choice of supplier for all our vending machines, weighed up our options and have at last made our decision on the choice of a long -term partner who will support the tilly-miss brand name for the immediate future, the company have in my opinion conducted themselves in a very polite fashion, answered all questions in a polite manner and have advised me on a number of important issues beyond the call of duty, so i am pleased to say a great weight has been lifted and we can expect our new machines to arrive within the next week. If anyone is interested in our machines please get in touch, we are happy to sell to golf courses, hotels, forecourts, pubs, and workplaces, we will offer direct sale or we can place a machine at any outlet and offer a very generous commission on each ball sold, our commission will be higher than any other vending company structure. What a day it has turned out to be, tilly-miss was up and about this morning looking forward to another adventure,we walked in to the woodland through our usual path route when a horse being ridden came bolting through, tilly was kicked in the side and sent flying, shocked at what happened i picked her up and cuddled her as she was in shock at what had happened, i put her down for a rest and found she was unable to walk on her back leg, again i picked her up and massaged her leg which eased her a little, but she wasnt capable of continuing her walk so i carried her back home, it was the shock what had happened that frightened her bless her, a visit to the vet revealed her leg had gone in to spasm and hopefully will heal naturally,but i will keep a close watch especially in the morning, it was very frightening for us both. I have been massaging her leg through the day, all seems ok and she has not been bothered by me touching it, so everything crossed, that put a blight on the days planned adventure, but we will see what the morning brings. 450 golf balls put in the wash, getting them ready and nice and clean, with so many coming through i thought it best to make a start, god knows how many in total we have and how many brand names are actually in the market, does anyone know? Another good day was had with tilly-miss, chased and chased rabitts until her heart was content, tilly had a great time, leaving me to do all the bending and back breaking tasks she usually does, but was i bothered, not at all, it was great fun watching tilly crawling along the ground trying to outwit jack rabitt, i wont say how she got on but i think she was happy with her performance,which surprised me. Another good haul in a variety of colours were returned, it is nice to see the colour balls coming in to there own once again, it seems golfers are having a few eyesight problems? (remember to have regular eye check ups) if you are worried. Phone calls through the day have been very interesting, along with email that i picked up on,on my return this evening, all positive stuff that i hope we can build on for the future. I have a meeting planned tomorrow which could be the key to a very important decision, i will let you know the outcome. We had another good haul of the pearly white balls today, was unexpected to say the least, due to the recent haul we have had over the last few days,but golfers being golfers do loose them at alarming rates which baffles me? imagine if tilly-miss was to scarper i wouldnt just think oh well thats that then and go home, no way i would spend the day and night looking for her, the same should be said for the poor old golf ball that has just had a hammering, spun through the air and has to land at an alarming speed somewhere? does a golf ball feel any pain? Enough said on that issue, Tilly has had a great amount of excercise today and is completly worn out, just looking at her here fast a sleep without a care in the world, her wound has healed very nicely and thank you to all the nice people who have sent email asking how tilly is getting on, rest assured you will get any news should anything else develop. 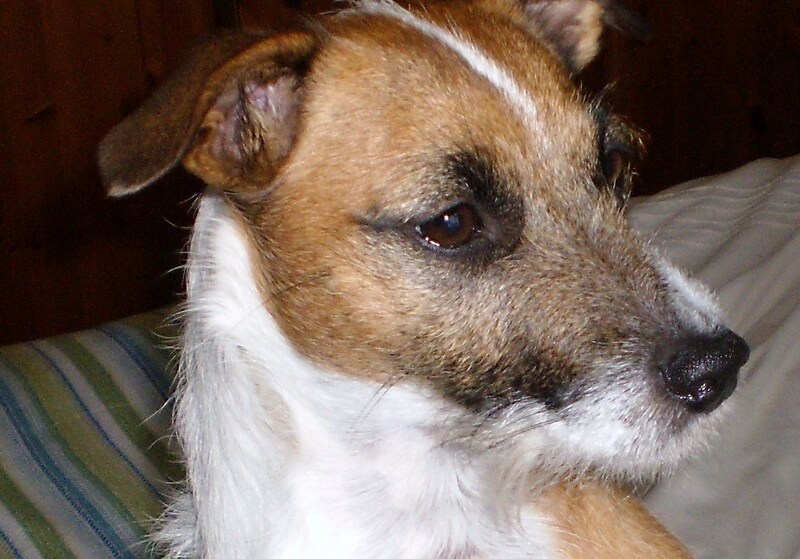 Tilly-Miss is in for a treat tomorrow as we head north to a former stomping ground,it has everything tilly likes beside golf balls, rabitts and squirrels in abundance so tilly will need all the rest she can get tonight because them jack rabitts certainly give her a run for there money. So until tomorrow we wish you all a very enjoyable evening, have fun and keep warm. Things shaping up nicely for tilly-miss. Today has been very good for both tilly and myself, the morning started well with a cup of tea, you cannot beat a hot drink to start your day, we then proceeded by car to a venue that offers really good access to the entire course, which was brimming with top quality golf balls, for obvious reasons i will not name, due to it being so crammed, over 100 golf balls collected in just over an hour, what is wrong with people, they disgard the golf ball which has cost good money and it means nothing, blimey i will be putting a tent on that course very soon, we would happily stay all week at that rate. The process of Trademark is i am very pleased to say well and truly underway, Tilly-Miss will join the elite in having her own brand name, joining the likes of HMV and Churchill Insurance god knows how many other dogs carry there own brand name, anyone out there list anymore? As i said last night we will introduce merchandise in the near future, along with picture posters and various other items of interest which i really look forward to doing as tilly really does deserve to have the best out of life, and this is my dedication to her. Really looking forward to the coming weeks and months, so many things are falling in to place at last, and where this journey will take us nobody knows, but we are having great fun enjoying what each new day brings. We have done another walkabout this afternoon, thankfully the rain had cleared so we had an entire walk of freedom all the way round the outer circle of the course, and i am pleased to say it was very well worth it. We have found so many today the machines will be groaning, tilly-miss performed her usual routine checking the land around us, looking to see if we had any animal company, but due to the weather all the animals were tucked up underground, so tilly then decided to start earning her keep, one after another picking them from under the leaves, the human eye would be unable to see a ball let alone detect it. 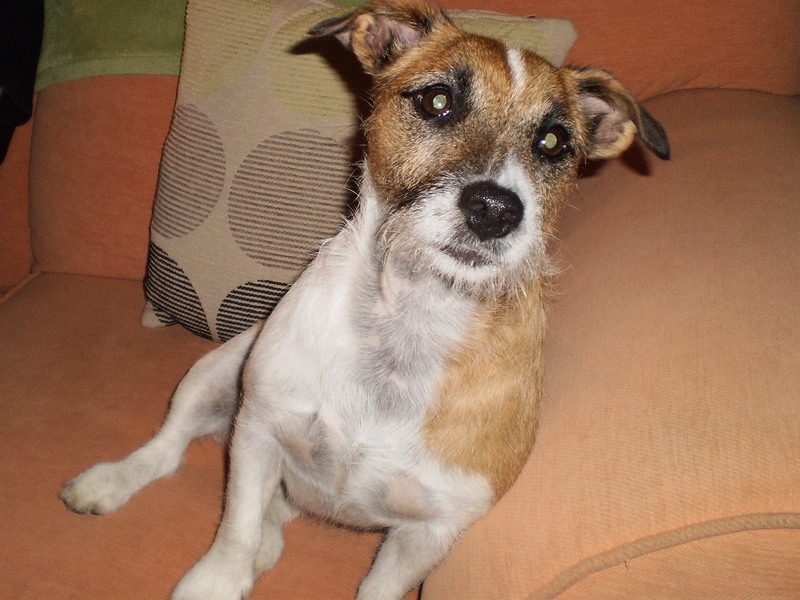 Tilly – Miss been taking things easy. Sorry for the delay in our daily news, things have been busy and we have added a new computer,which in turn has allowed for tilly-miss to recover from her recent injury, which as i type is healing very well, tilly has had her moments where she has started licking the wound but with a dab of Suda Cream to help settle the knock, she has stopped obviously the taste of the cream has not been to her liking. I am going to take tilly to the vet for a quick checkover just to make sure the injury is fine, there is a very slight lump still hanging around which i need to get checked, just to be safe, but she is in great shape and has been missing the golf course and the woodlands, with the extent of the wound i thought i would rest her down from the wood just in case she was to catch it or get it grazed, she knows no fear when she is on the loose and if something took her fancy she would be away no matter how much i shouted, so it has been a good rest which tilly will benefit from longterm. We wondered to the woods this morning, it was quite a breezy walk and very enjoyable to be back out there again, tilly was soon away scouting and looking to see who and what would entertain her, it did not take long before she was chasing a squirrel, leaving me to get on with picking up the balls which were in abundance, great titleist balls stood out, nearly new proV balls followed by Calloway and Nike, oh yes i was rubbing my hands trying to count them, soon my pockets were weighing me down, out come the bag to put them in, we then entered “A” field pulled 10 more we moved in to “B” field and 9 more what a lovely morning, then around the sid of the course, this is when tilly-miss gets interested, nose in the leaves another followed by another and so on, my arms aching my back aching the rain fell from the sky in real anger it seems, torrential downpour we were both soaked through and made a hasty return to home. Arrived home dried tilly then changed my clothing had a nice cup of tea, then went through our haul, all good quality balls, have sorted a few dodgy looking balls which will be added to my welsh collection, remember i am collecting 1500 for the welsh school, so i am happy that we have both achieved something. Been in discussion with a marketing man, the guy represents the golfing world, he would like to distribute our golf ball vending machine in 7 european countries, we will hopefully develop further interest in the coming weeks, looks very promising at this point which pleases me. Why didnt i take my camera. Typical that when you need a camera you find you have left it behind, we were enjoying the woodland walkabout at a new venue, i couldnt believe my luck with the wildlife roaming around, a set of badgers rolling on there back in the wet grass, 6 Deer in beautiful close up and 2 foxes on the prowl and a buzzard flying around tilly-miss, all would have made some really stunning pictures. We had a great return for our journey, the lovely rain free morning after a weekend of torrential rain, nice breeze and sunshine breaking through, lots of early morning golfers taking advantage of the weather forecast it seems, but like all golfers they still do not get round a course without loosing a ball which i am very grateful for. 39 beautiful colours and whites returned in a very short time, again many of these have hardly had time to be unwrapped, 1 hit balls in perfect condition, great names which will do me very well in the coming weeks with our newly launched machines. Tilly-Miss is making great progress, we have found the perfect way to administer her tablet twice daily, we crush the tablet to a pulp on a spoon and feed it to her in one, and it works brilliantly no fuss or nonsense followed by a nice treat for her straight after. All the swelling has gone down her fur is growing back and we have no further damage or signs of grazing, so i am very happy as things go. We shall be of line for the next few days as i am going to have a sort out with my computer, we are going to buy a replacement, until then and it gets sorted we will be back. Have a good time and enjoy your day, good luck until then stay safe and sound x tilly. My moaning day, someone has to? It seems that we poor people in england get all the *hit that the world doesnt want, the worst weather, people unemployed with no prospect of anything in the future, what a xmas for some? Immigration taking a hold stronger than ever, our very own gordon brown giving millions to every piece of dirt that arrives on our shore, all your pension money that you worked hard for filtered away by the greed of banks being rewarded, supermarkets posting obcene profits yet paying there staff a pittance, Blair getting away with murder and a wife getting paid millions to fight there cause, then you find the scumbag son selling tickets to rugby matches, that is without anyone mentioning MPs fiddling expense claims along with the BBC boss already on £333,000 yet cannot afford to pay for his trek up a mountain which was in aid of charity, i am sickened by what this country has become=a third world toilet. Tilly in good shape we had to spoon feed her tablet after we crushed it this morning, there was no other way to get that down her, she is so crafty and just keeps spitting it out, but she is on the mend and we have been out a few hours and no further grazing on her leg i am pleased to say. Where is the rain coming from what have we done to deserve this, the woodlands are like a river, the golf course near waterlogged, and me and tilly-miss soaked to the skins, now a peaceful warm rest for the evening hopefully for tilly, not for me as i am going out for some peace and relaxation in a nice little pub not far away. You are currently browsing the Tilly the Golf Ball Retriever Dog blog archives for November, 2009.